It’s been kind of depressing for me to dig down and remember all the yukky stuff I got into during my younger years. But what’s past is past, right? I can’t go back and undo all the things I did, but I can learn to accept them – and hopefully help others get through their mess-ups, as well. 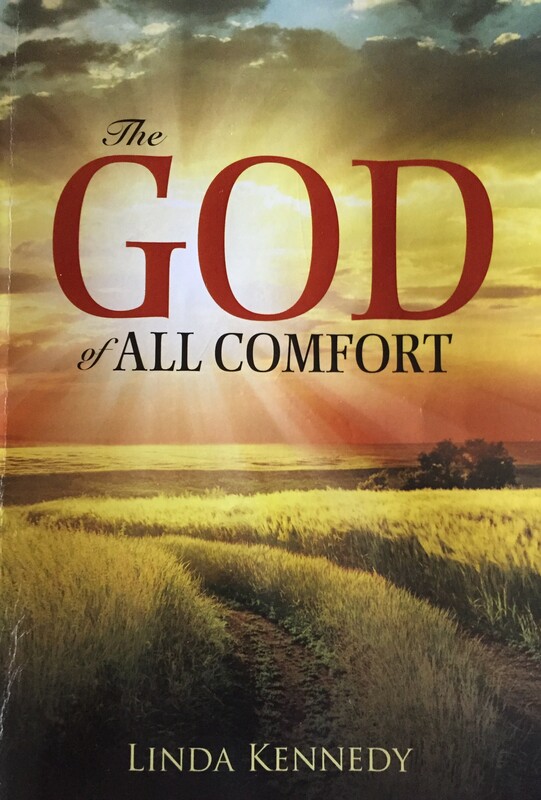 That’s why I wrote my book The God of All Comfort in the first place. To be real in my quest to help others understand that it doesn’t matter where you’ve been; the important thing is to know where you’re going! So the last subject I want to touch on in my series of Becoming What I Came To Be is humility. Because my prideful attitude definitely was something I struggled with for years. “I” wanted to be the best of the best – and it really didn’t matter who I hurt in the process (at least most of the time). So … as my husband and I got up into our mid-20’s, we started thinking about having children. And when I finally became pregnant after we’d been married for 10 years we were thrilled. I quit my freelancing work (Honor & Integrity – Not A Whole Lot) shortly after giving birth to a healthy son, because my husband really wanted me to be a stay-at-home mom. I wasn’t crazy about the idea, until I tried going back to work, and discovered that my heart just couldn’t take leaving my boy in a daycare center. Since I was now home fulltime I began to work on a plan of how we were going to have the perfect family that “I” wanted – and that meant we were going to have 2 boys, 2 years apart. Surely God would honor that request, right? My husband and I were at the time attending a good Bible-teaching church (even though neither of us had grown up that way), because my husband was bound and determined that our children were going to grow up in a better environment than either of us did. At our new church I was attending women’s Bible studies, and I really began enjoying the ladies there. I also loved attending the retreats they offered periodically. Surely I had all the bases covered. God must be really pleased that I was doing so well! So when I got pregnant about 1-1/2 years after our first son had been born, I was positive things were going to work out just as I had planned. And, as my husband traveled with me to our first ultrasound, I believed in my heart that I was carrying another boy. Because … it’s what I wanted. When the doctor began doing the ultrasound, suddenly he became really excited. I was pregnant not with only 1 boy, but with 2! I was extremely upset; and unfortunately started screaming right there in the doctor’s office about how I didn’t want that. And as we left his office, I was fuming at God. How could He do this to me? He knew what I wanted and had failed me. But let’s fast-forward here, as most of you probably already know a lot of my testimony. In a nutshell, I had to undergo an emergency C-section at 5 months; and we ended up losing one of our precious twin boys 3 months later. And yes, it was harder than hard, but can I just say that deep down inside I started thinking this was the way God had decided to answer my prayer about 2 boys, 2 years apart? That day changed my life forever, but in ways I never could’ve imagined at the time. Why? Because it was the day I was finally set free, and became a new woman. It was the day I surrendered to the Lord. As we waited for the EMT’s to arrive that horrendous day, I got down on my knees in my living room, and cried out to my Savior. I cried out to Him to save me. I asked Him to change me forever. And Jesus, the lover of our souls, did indeed lift me up. You can have that hope too – if you surrender to Jesus! My next post I’ll wrap up this whole series, I promise. And I hope and pray that if you are holding onto fear that maybe you’ve just been too “bad” for God to forgive you, that you’ll find hope. This is powerful. And I want to hear more. Oh the plans we make and hope God honors. We all do it. Thanks for this lesson. Thank you, Theresa – your kind words mean a great deal. Planning on being at Declare again this year?